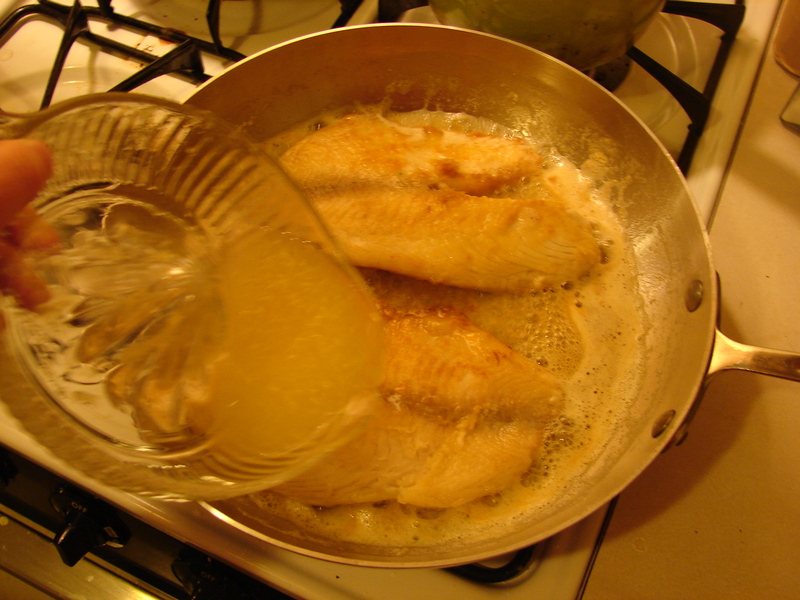 Rinse the fish and pat dry. 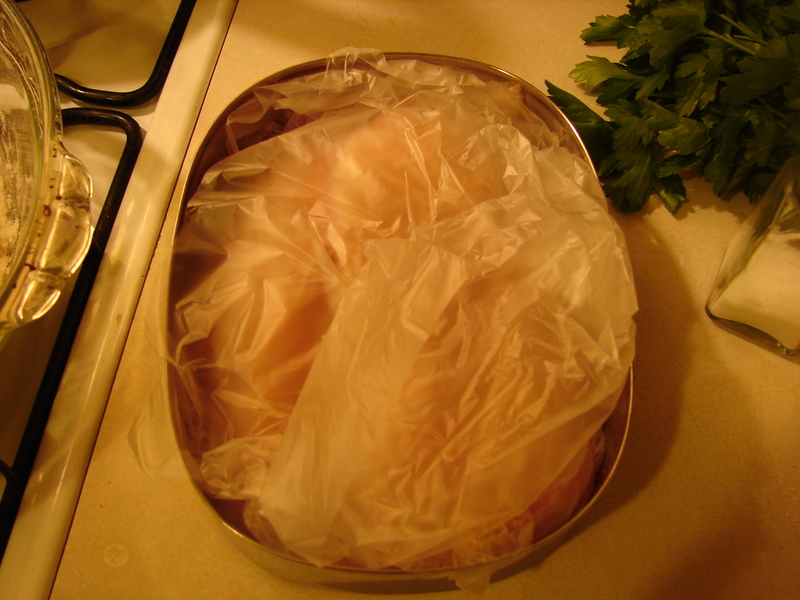 I use kitchen towels to do this, then wash them in hot to kill any germs. I know that washing in hot takes more energy than cold, but I think that occasionally doing one load of laundry in hot has less of an environmental impact than using paper towels. 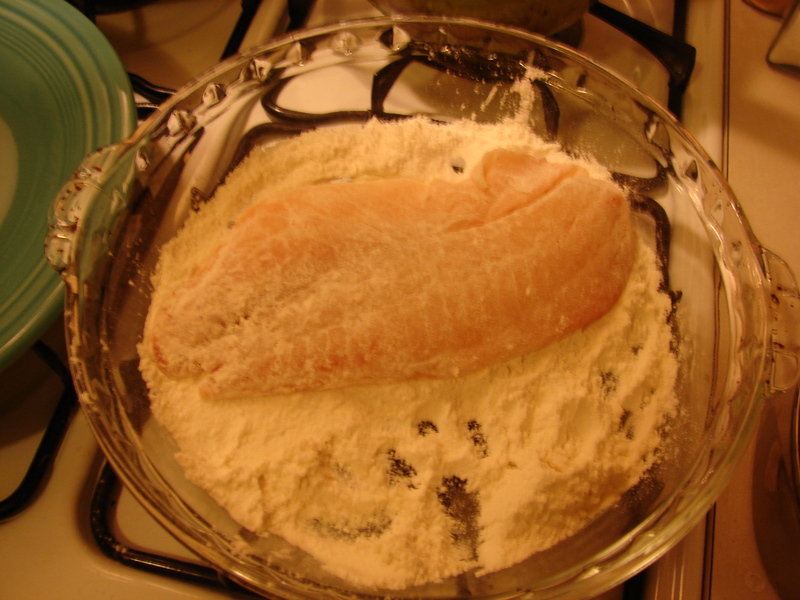 Dredge the fillets in flour. 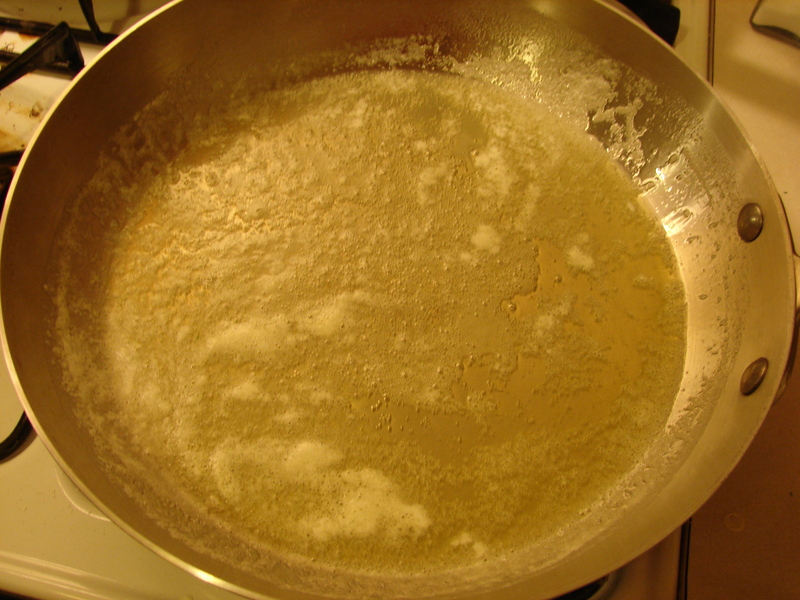 Melt 1/4 cup of butter in a skillet. 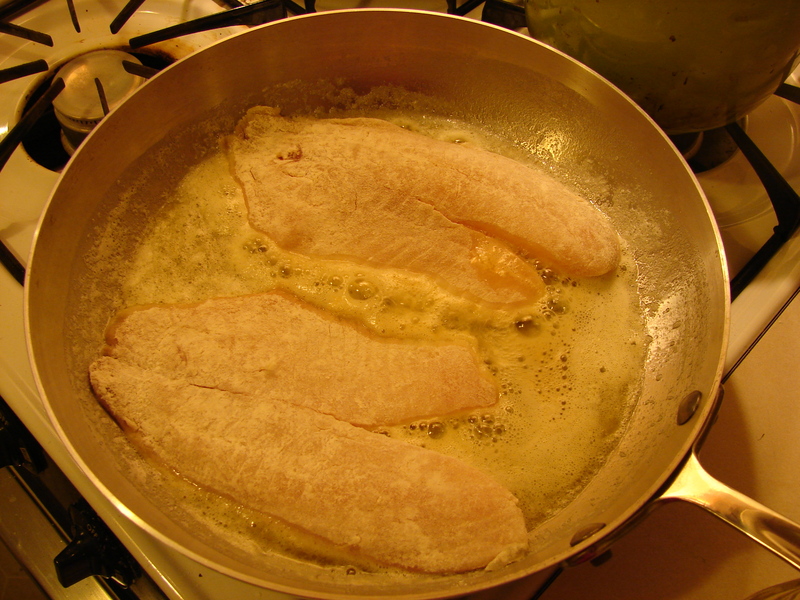 Add two fillets and cook for about three minutes. Flip. 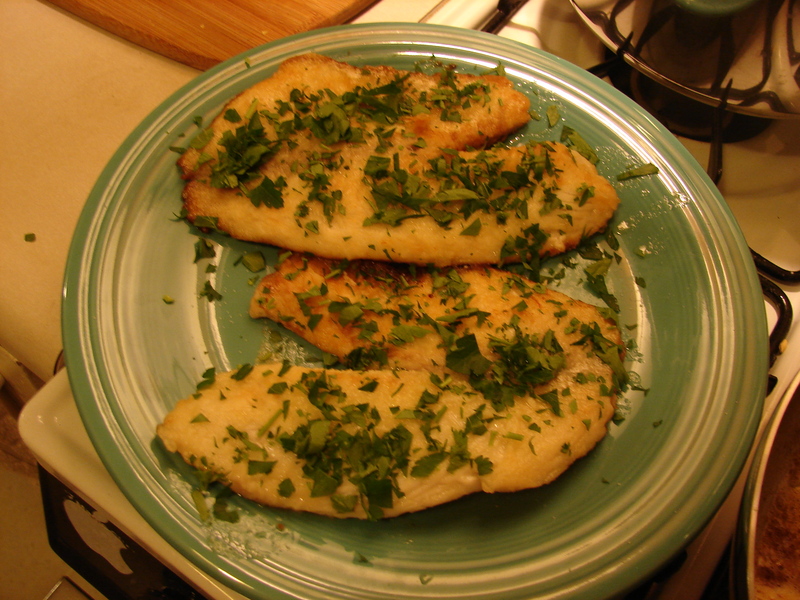 Let cook for three minutes, then pour half of the lemon juice over the fillets. 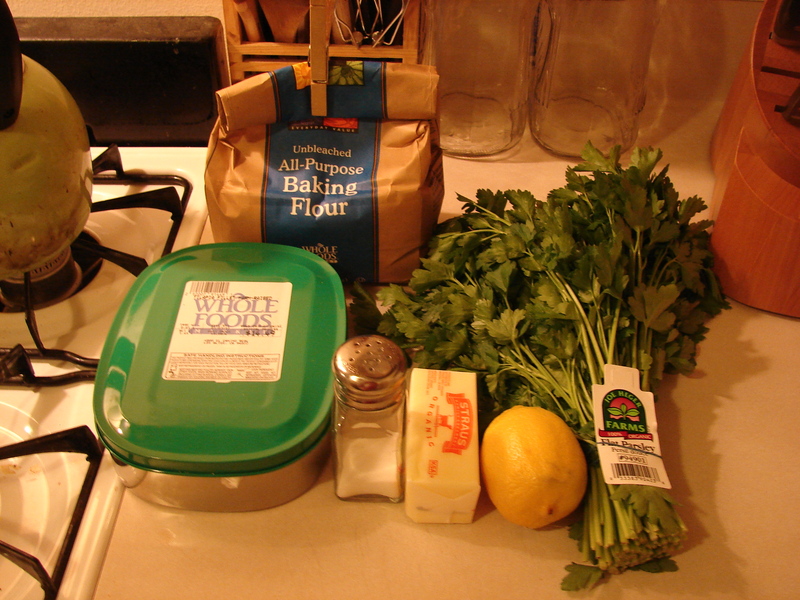 Remove from the pan and sprinkle with parsley and salt to taste. 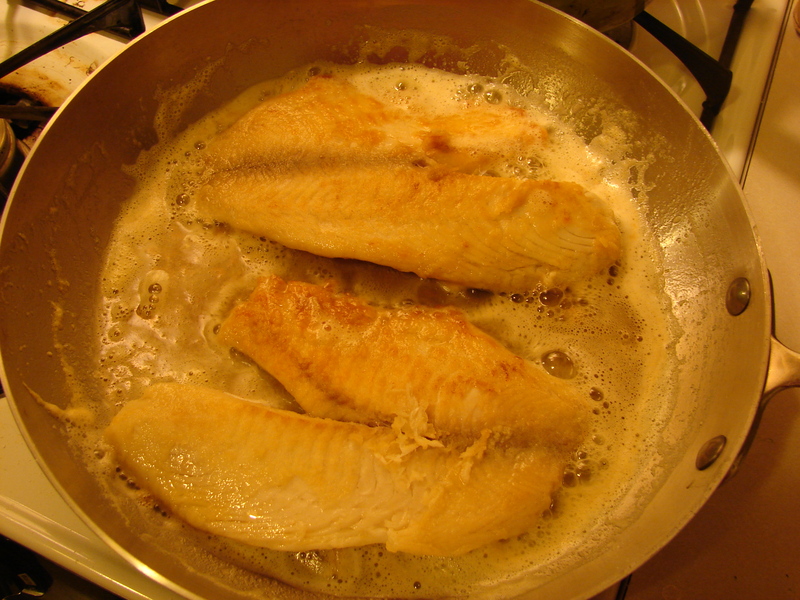 Melt the rest of the butter and cook the remaining two fillets. Serve. 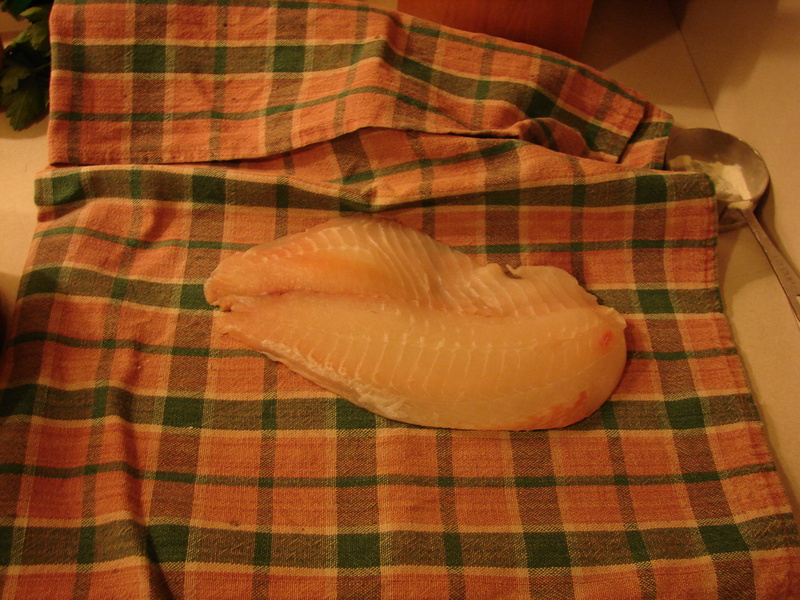 Unfortunately, I don’t have a picture of all four fillets. My family attacked it before I could get the camera. Enjoy!